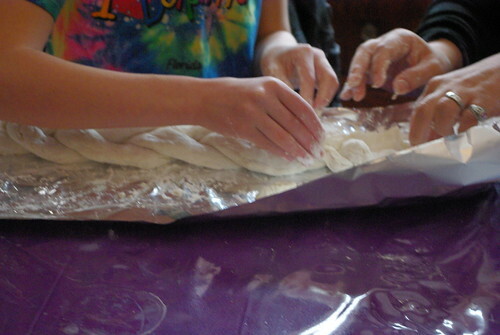 Over the years I have done a number of crafts with my family that have enhanced our Lenten experience. 1 c Salt Water (used strong tea for color). 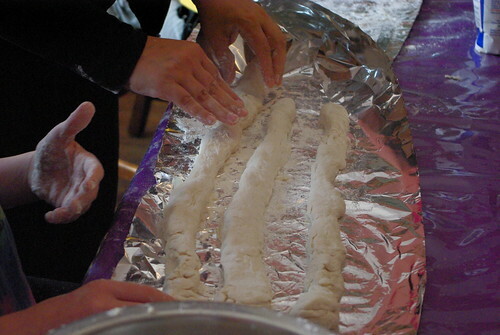 Mix in enough water to make a stiff clay. Roll three long ropes and braid them as tightly as possible. 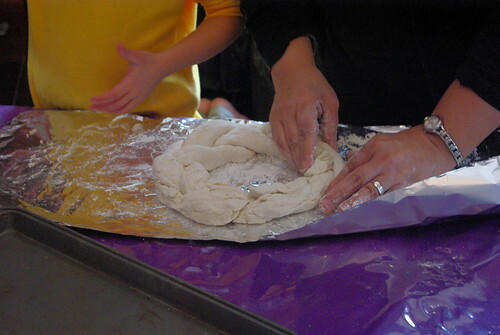 Form the braid into a circle to make the wreath. 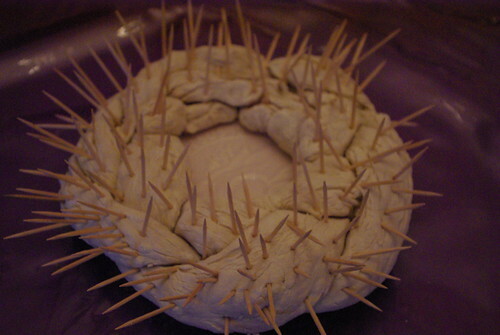 Stick toothpicks into the wreath in every direction to represent the thorns. 1) Bake braid at 300 degrees for on hour or until dry and brown. 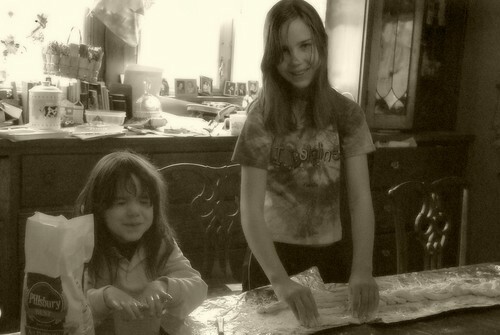 Can bake on parchment paper. When done the thorns should be easily removed. Turn oven off and let it cool slowly to avoid cracking. 2). Let braid air dry for 24-48 hours until rock hard. 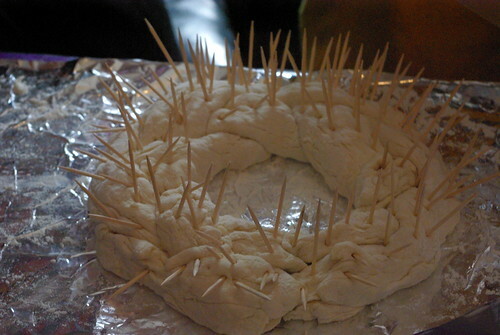 The original instructions said to insert candles into the wreath, and then use them for prayer time. We never did that but it sounds like a lovely idea. 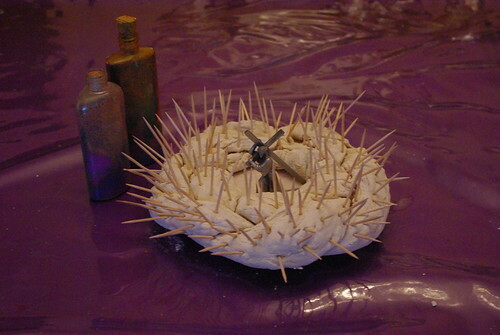 Another idea was to remove one of the thorns every time one of the children performed a Lenten sacrifice. From the Catholic parenting site. Each time the children say a prayer, uncomplainingly perform a moritifcation or otherwise live up to the spirit of Lent, they are allowed to remove a toothpick 'thorn' from the crown. This helps them to understand how are sacrifices and good works can comfort Him. It also gives the children a very visible goal to have removed all the thorns by Easter time arrives. Without the thorns, the crown can be brightly painted and adorned with glitter and beads to make it a beautiful crown signifying our new life with Christ. Or represent the crown of the risen Christ.